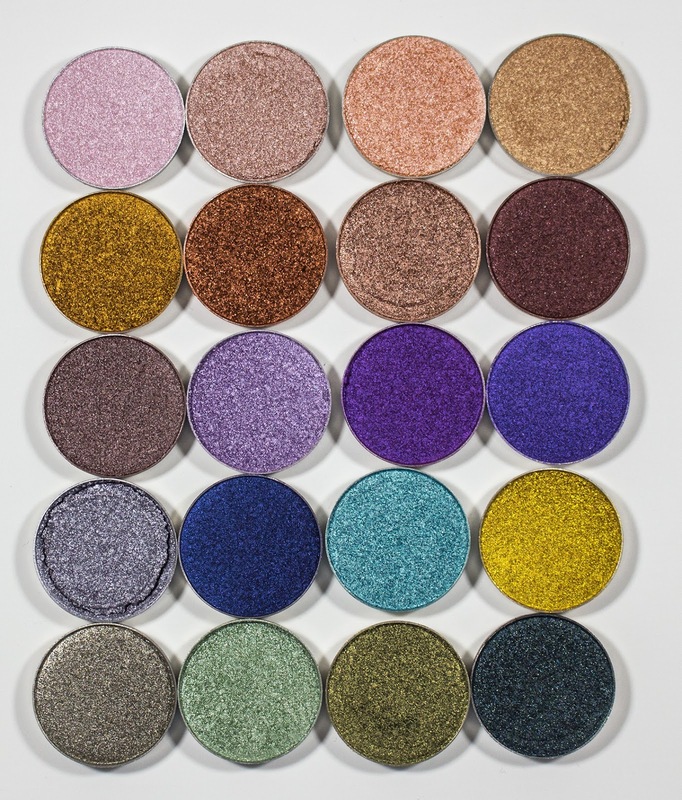 The Makeup Geek all 20 Foiled Eyeshadow pans retail for $9.99US each and the set of 20 for $175US which means you save $24.80 when you by the group (which is what I did). 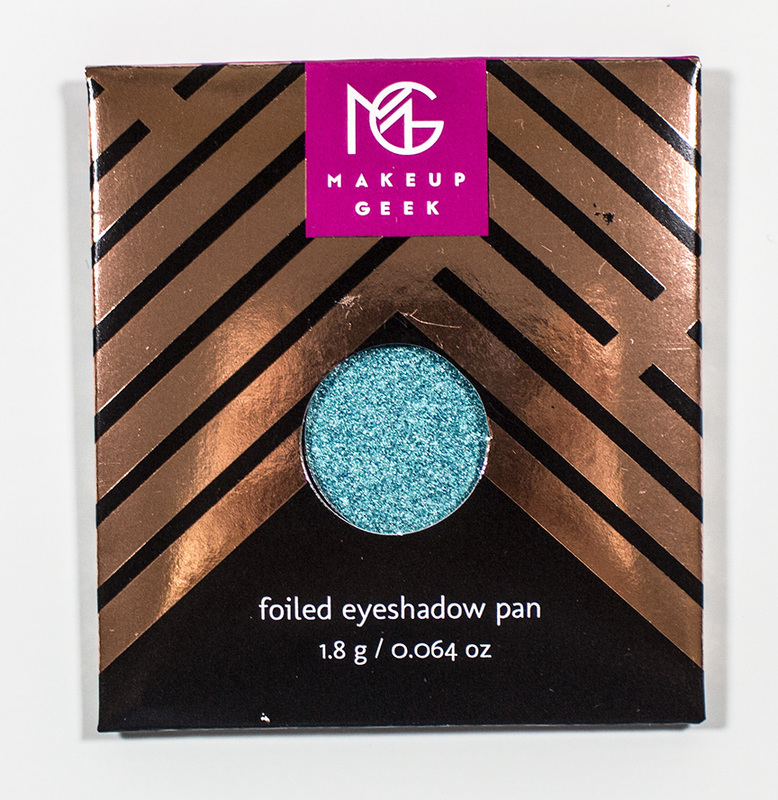 Makeup Geek all 20 Foiled Eyeshadow envelope. 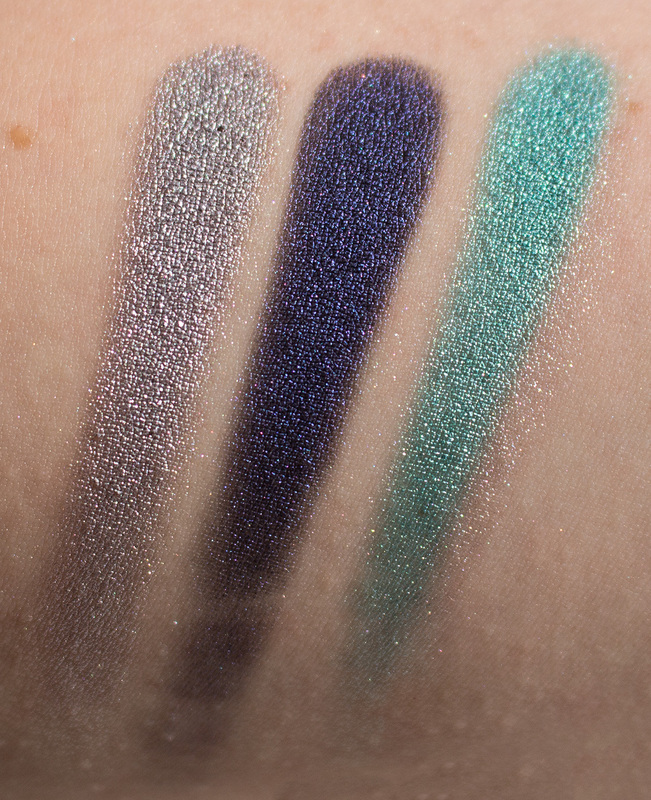 These formula on these are an ultra pigment dense gel to both hold the colour and not dry down in the pan. 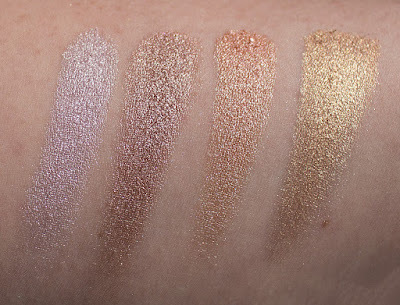 They are all butter smooth in application with a finish that is shimmery or metallic. What's impressive is that the formula doesn't dry out like other gel based eyeshadows and the closest to Makeup geeks I've tried is Yaby cosmetics Pearl Paints Eyeshadows as they too are one of the first to do the gel based eyeshadows but they also don't dry out in the pans. Whimsical is a light soft pink that leans almost mauve. Starry Eyed is a light pink-beige with white shimmer. 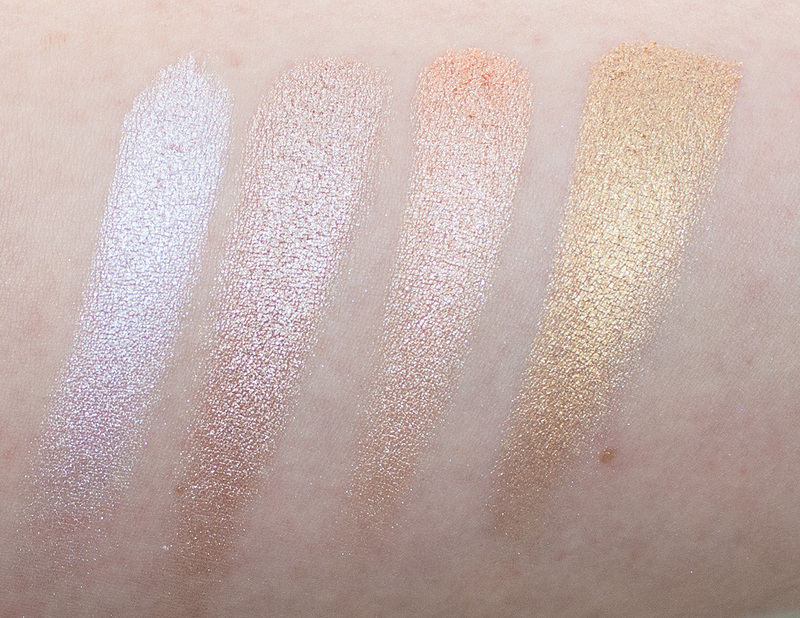 In The Spotlight is a pale orange peach with white shimmer. 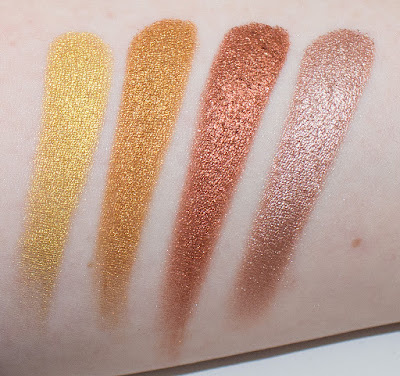 Magic Act is a bright pale yellow gold with a metallic finish. 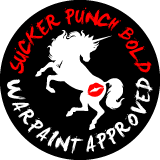 Untamed is a bright orange-gold with a metallic finish. Flame Thrower is a polished penny copper tone with a metallic finish. Grandstand is a rosy tone metallic brown. Showtime is a burgundy brown with a shimmer finish. 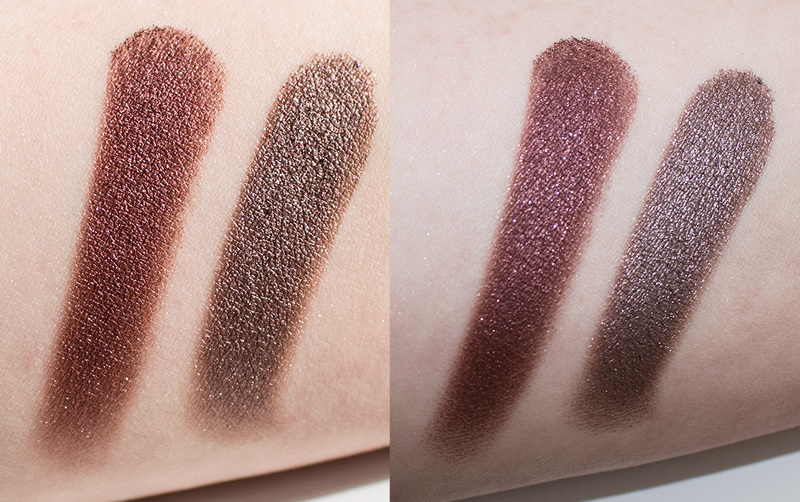 Mesmerized is a deep plum taupe brown with a shimmer finish. Day Dreamer is a light lavender purple with a pearl finish. 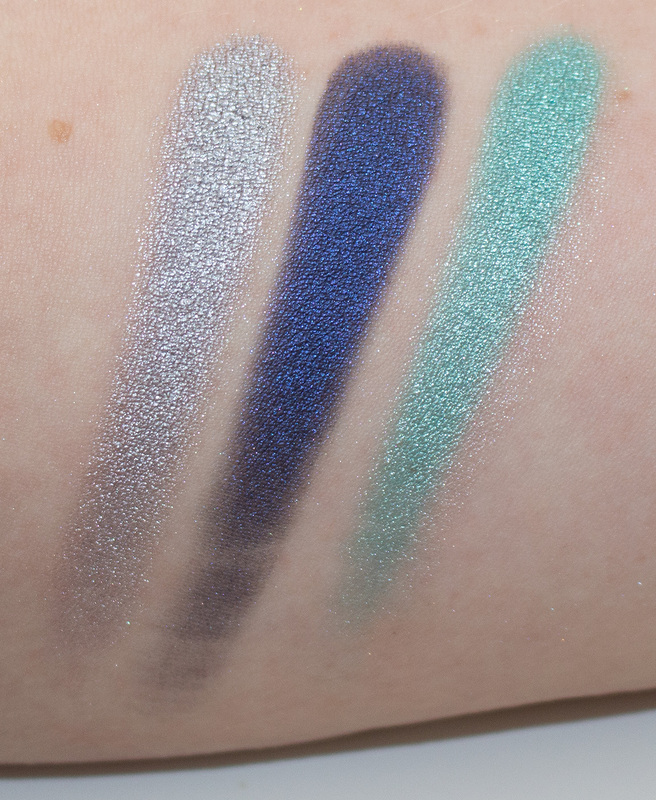 Masquerade is a medium purple pearl with blue shimmer. 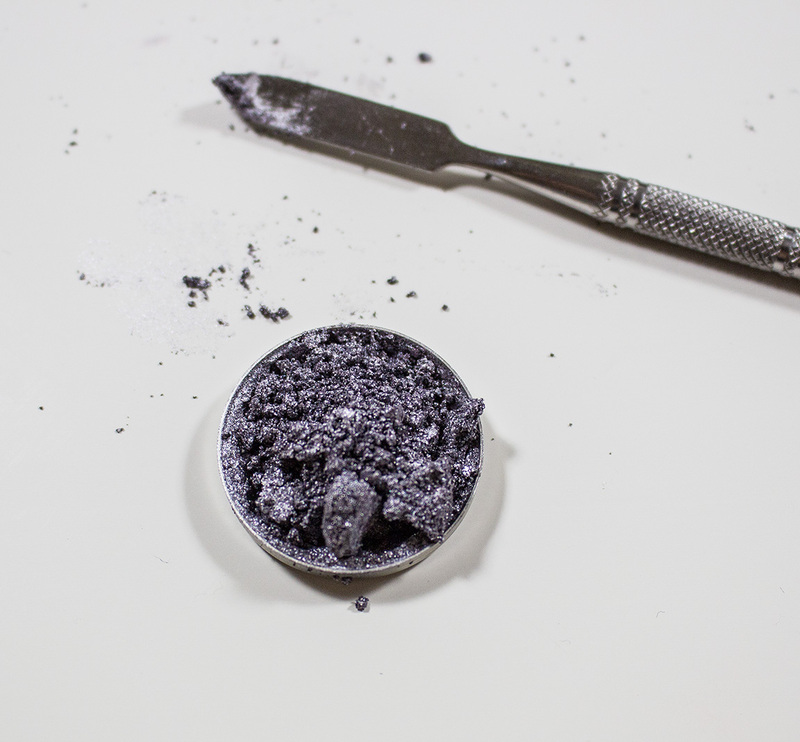 Caitlin Rose is a rich blue based purple with a shimmer finish. 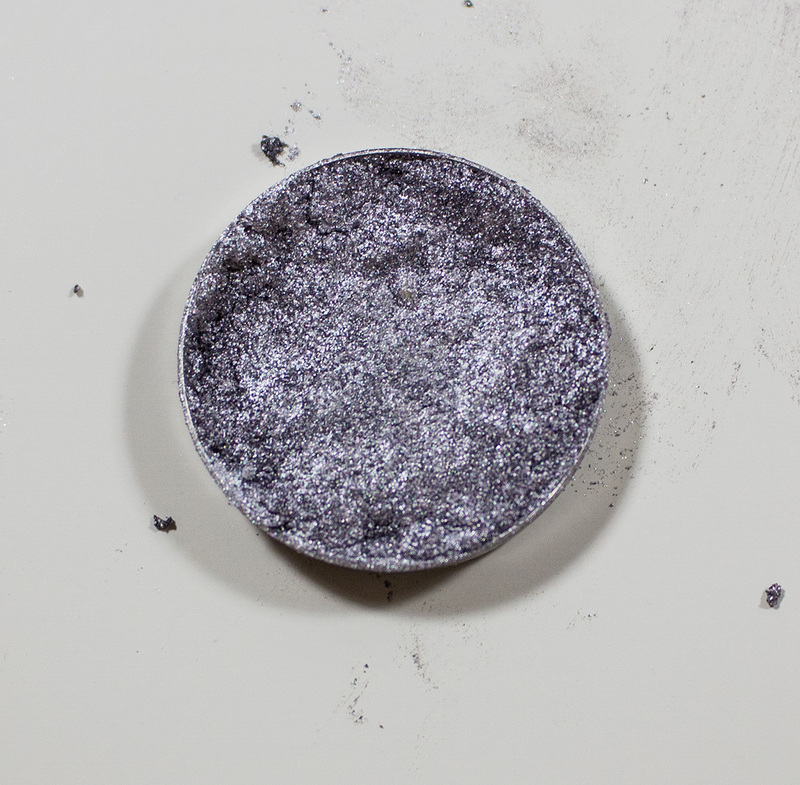 High Wire is a true silver with blue undertones and a metallic finish. Center Stage is a rich royal blue with a pearl finish. 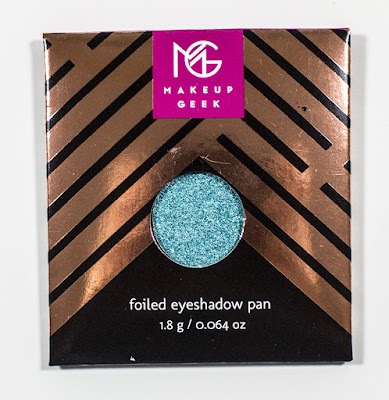 Pegasus is a light aquamarine with a shimmer finish. Fortune Teller is a vibrant yellow gold with a solid pearl finish. Charmed is a dusty silver antiqued green with a metallic finish. 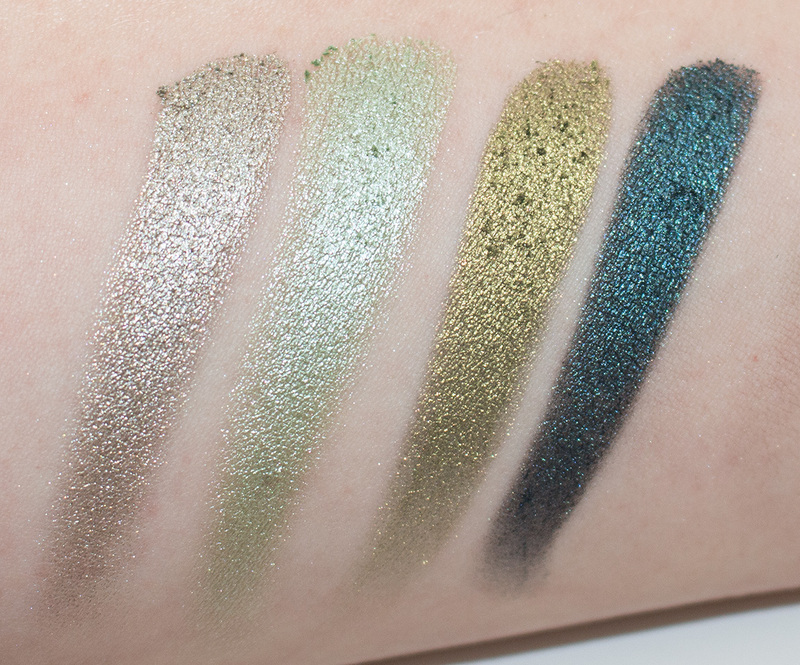 Fantasy is a pale leaf green with a shimmer finish. Jester is a yellow based leaf green with gold shimmer. 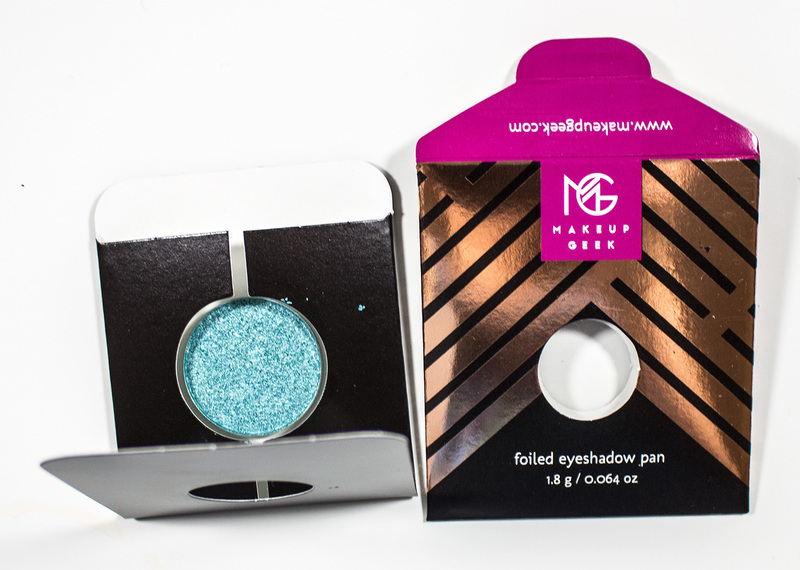 Houdini is a deep forest green with teal shimmer. 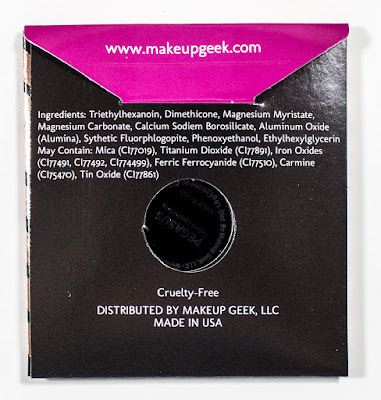 Wear: With a base these do stay all day without any fading, on their own they do fade evenly to a sheer wash in 8 hours. 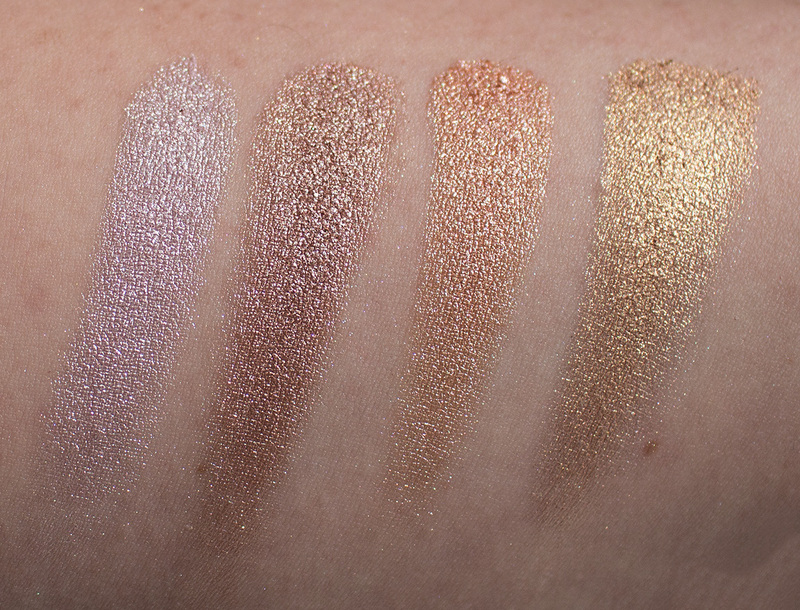 Daylight swatches: Whimsical, Starry Eyed, In The Spotlight, & Magic Act. Flash swatch: Whimsical, Starry Eyed, In The Spotlight, & Magic Act. Daylight swatches: Fortune Teller, Untamed, Flame Thrower, & Grandstand. Flash swatch: Fortune Teller, Untamed, Flame Thrower, & Grandstand. 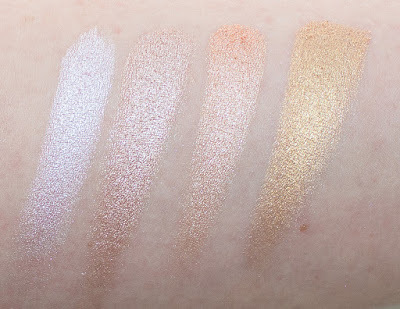 Daylight & Flash swatches: Showtime, & Mesmerized. 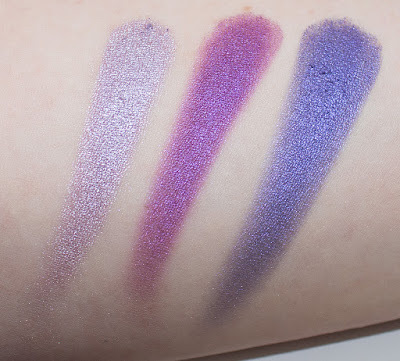 Daylight swatches: Day Dreamer, Masquerade, & Caitlin Rose. 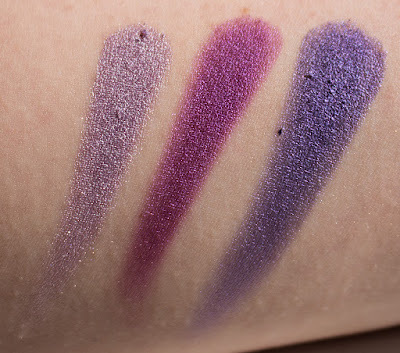 Flash swatch: Day Dreamer, Masquerade, & Caitlin Rose. Daylight swatches: High Wire, Center Stage, & Pegasus. 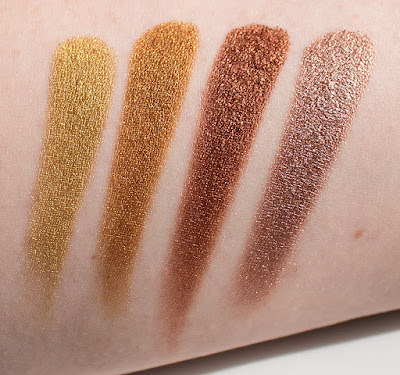 Flash swatch: High Wire, Center Stage, & Pegasus. Daylight swatches: Charmed, Fantasy, Jester, & Houdini. 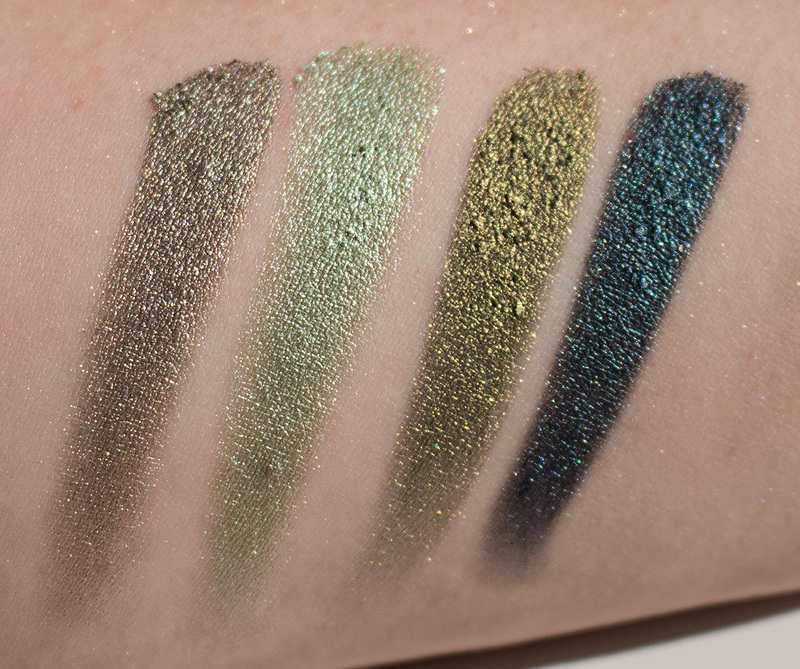 Flash swatch: Charmed, Fantasy, Jester, & Houdini. 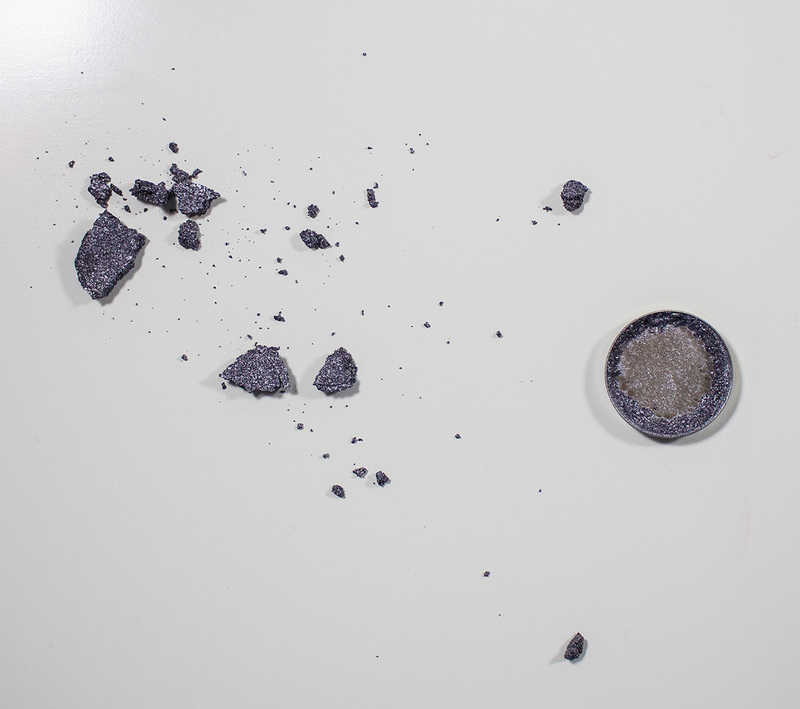 It is heartbreaking to see an eyeshadow shatter let alone one your received in the mail already broken. My High Wire came cracked and when I flipped it over this happened. 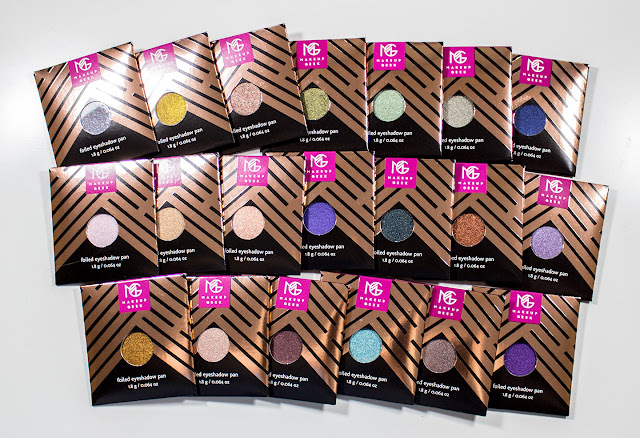 Mended eyeshadows: High Wire on the second top right corner. Definitely a keeper! 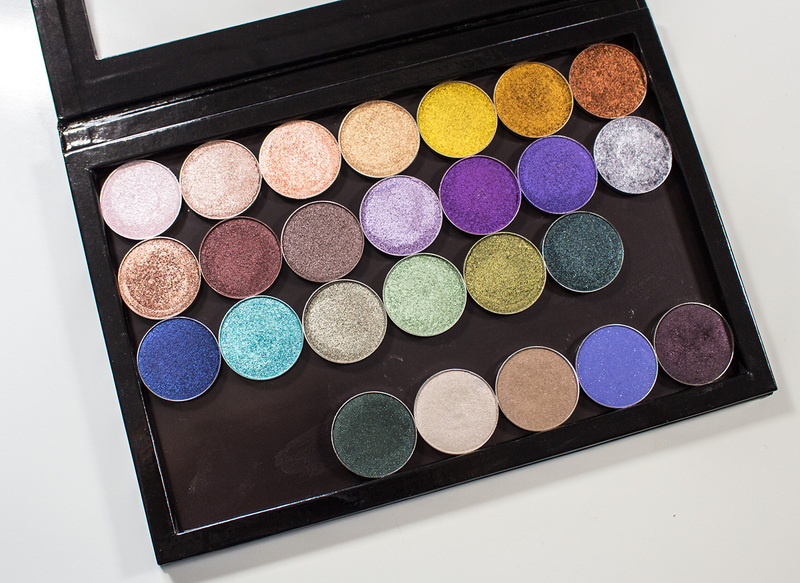 these are sooo nice to work with and put a number of brands to shame when it comes to their shimmery shadows.